The audio adventures of The War Doctor will be told over four box sets, each containing three linked hour-long episodes. 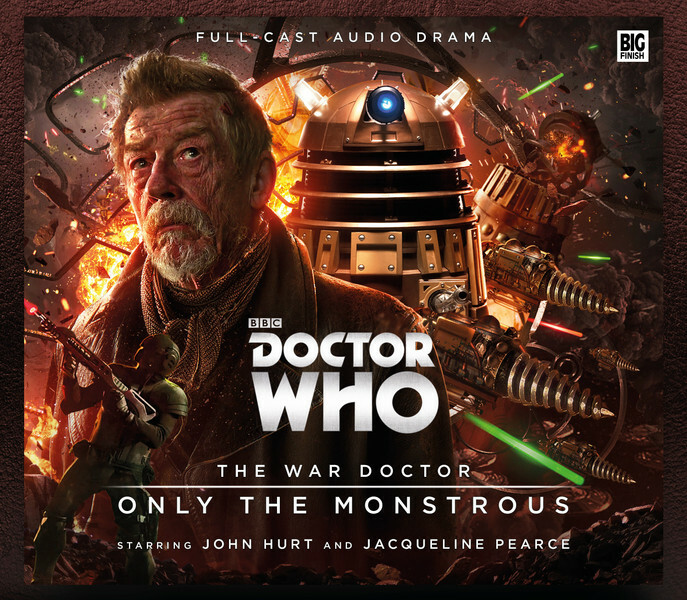 The first box set is entitled Only The Monstrous, and is written and directed by Nicholas Briggs, whose many successes for Big Finish include the BBC Audio Award-winning masterpiece Doctor Who: Dark Eyes. The cast of The War Doctor also includes Jacqueline Pearce, who plays Time Lord Cardinal Ollistra — an arch manipulator who is waging the Time War against the Daleks. Please check out our other Doctor Who & Big Finish content.